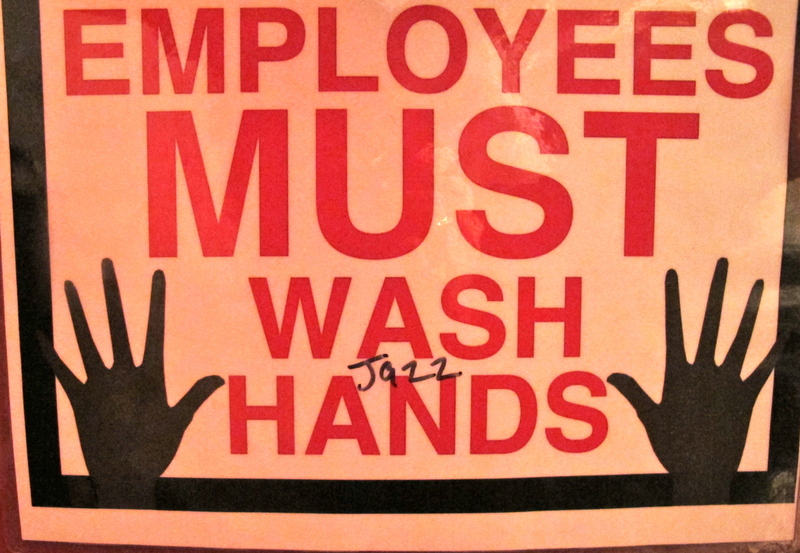 Employees Must Wash Jazz Hands. Amazing. Seen in the can at the People’s Improv Theater during intermission at the Risk! Podcast Storytelling Show. For those of you who don’t know Risk, it’s like The Moth meets truth or dare and it’s marvelous. The show I saw was immortalized in podcast #310. Sidenote: I am in love with Elna Baker.